LOS ANGELES, CA (March 29, 2019) – Participant Media, the leading media company dedicated to entertainment that inspires audiences to engage in positive social change, has partnered with NEON for the U.S. distribution of Latin American film festival sensation, Monos, directed by Alejandro Landes and starring Julianne Nicholson. NEON acquired the critically acclaimed film following its World Premiere at this year’s Sundance Film Festival. Monos, which received the Sundance World Cinema Dramatic Special Jury Award, followed by a screening at the Berlin Film Festival and the Cartagena International Film Festival, where it won the audience award, will screen Saturday at the 2019 New Directors/New Films festival in New York. 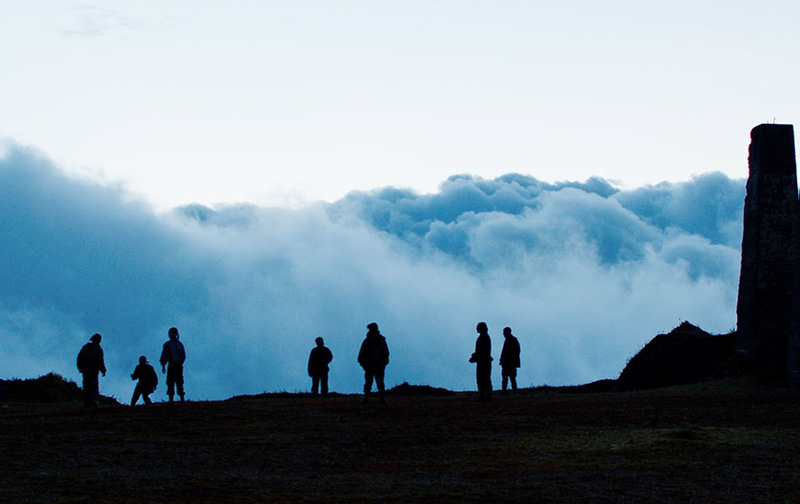 The film, about a young group of soldiers and rebels training on a remote mountain in Latin America with an American hostage (played by Nicholson), recently was featured in The New York Times as one of the most anticipated films of the festival. Landes co-wrote the film’s screenplay with Alexis Dos Santos. The producers are Landes and Fernando Epstein, as well as Santiago Zapata and Cristina Landes. The cast features Nicholson, alongside Moisés Arias, Sofia Buenaventura, Deiby Rueda, Karen Quintero and Laura Castrillón. Participant has experienced a string of successes with Latin American feature films, most recently taking three Academy Awards® for Alfonso Cuarón’s ROMA. The company’s slate also includes Sebastián Lelio’s Academy Award® Winning A Fantastic Woman, Pablo Larraín’s Academy Award® Nominated No and Golden Globe® Nominated Neruda. NEON recently garnered an Academy Award® nomination for Border, Sweden‘s entry for best foreign language film. At Sundance, NEON premiered Todd Douglas Miller’s stunning cinematic event Apollo 11, which just surpassed $7 million at the box office, as well as John Chester’s The Biggest Little Farm. In addition to Monos, the company picked up some of the hottest acquisitions out of the festival, nabbing the rights to Ljubomir Stefanov and Tamara Kotevska’s documentary Honeyland; Chinonye Chukwu’s Clemency, starring Academy Award® Nominee Alfre Woodard; Veronika Franz and Severin Fiala's horror film The Lodge; Abe Forsythe’s Little Monsters; and Julius Onah’s Luce. NEON‘s upcoming slate also includes: Tom Harper’s Wild Rose, starring Jessie Buckley; and Bong Joon-Ho’s highly-anticipated drama Parasite. In Alejandro Landes’s intensely thrilling twist on Lord of the Flies, Julianne Nicholson plays a terrorized American engineer held captive by teenage guerilla bandits in an unnamed South American jungle. Leaderless and rootless, the child soldiers puff themselves up with names like Rambo, Smurf, and Bigfoot (the latter a brutal Moises Arias), and survive the tedium and predation of the wilderness through sexual games and cult-like rituals. As they wage physical and psychological warfare on perceived enemies—and, inevitably, among themselves—they are reduced to a state of desperate barbarism. The film’s sense of surreal menace is amplified by Mica Levi’s discordant soundscape and Jasper Wolf’s cinematography.